Panel just jokes around so much and doesnât ever get to the stamp collecting part. In a 45 minute episode, you might be lucky to get about 5 minutes worth of decent content. The rest is just them making jokes and telling us they are going off-topic/off-script and how much time theyâve wasted. As an avid collector it pains me to say this: here is your opportunity to get five to ten minutes of stamp news intermixed with thirty to forty minutes of inane banter. I saw your entry at Chicagopex and jumped on a follow. Listened to first episode today (of course the chicagopex review)â- very enjoyable and love the fact you are even doing a podcast on collecting. Entertaining and a great way to help promote the hobby! Keep up the good work. Will be a regular listener and will share for sure. Panel is knowledgeable. Please provide more substantive information and less self indulgent banter. Present format imposes on the listener. Itâs neither entertaining nor interesting. I wish this was an hour long too much stamp information and not enough time to really tell all. The loose banter adds to the enjoyment of learning about stamps and related stuff. Very educational stamp collecting podcast. Discovered this podcast a couple weeks ago and have listened to approx. 30 episodes so far. Keep up the great work its very much appreciated. This is a fast-paced, informative show that is more entertaining than you would expect a podcast about stamp collecting to be. But maybe that's because I'm a stamp collector. If you are a stamp collector, and have a tolerance for bad jokes [crickets] and tendentious theories of why George Washington is actually the 24th President of the United States, then you need to listen and subscribe. The level of expertise is quite high, but the show is not afraid to go low. And you will laugh. Really enjoy this podcast. I learn a lot each episode. Great fun for stamp collectors! These people are in the business, generally knowledgeable, committing full scale effort to producing enjoyable shows on schedule. 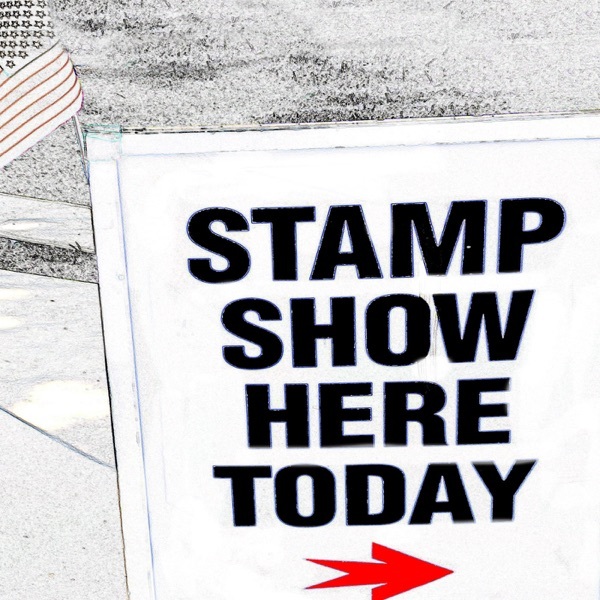 The ads are recorded messages from stamp dealers you know, and seem like part of the show, not interruption. They promote shows and other stamp related endeavors often by including interviews. It's a fun show, you should listen. I enjoy listening to this group of people discussing stamps. It is fun and informative, really feel like the discussions you hear in a stamp store or show. I hope this podcast continues for a long time. Got to be the best stamp collecting podcast out there, the other ones don't even come close... SSHT sounds like a group of friends hanging out that happen to love stamps, and you feel like you are sitting in the room with them! Good content, good audio, frequent new episodes, what's not to love!?!? I am trying to get previous episodes but can't get anything prior to 26, could you make those available. Stamp collecting meets talk radio! A fun podcast about the worldwide hobby of stamp collecting. Very good format with some great info!